The network ready OKI Pro7411WT prints at a fast 34 pages per minute at true 1200 x 600dpi and is an ideal A4 size printer for the graphics & design industry. With a standard 530 sheet paper tray, 100 sheet MPT as standard plus two extra trays can be added. 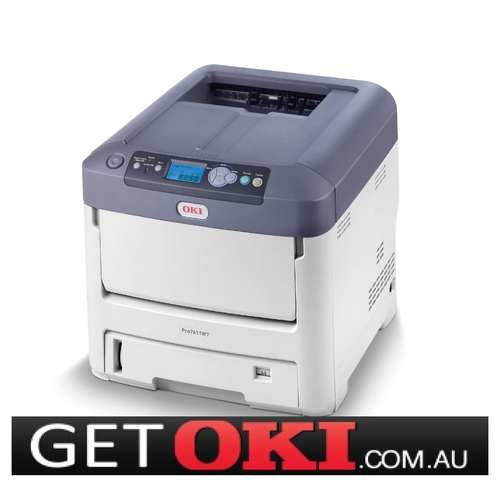 A 3 Year On-site Warranty is standard when registered on the OKI Australia website within 30 days of purchase. This device has the ability to print in standard CMYK colours, as well as white with a dedicated white toner - perfect for the graphic designer or those looking to tranfer vibrant and unique colours onto various media, including tshirt transfers. 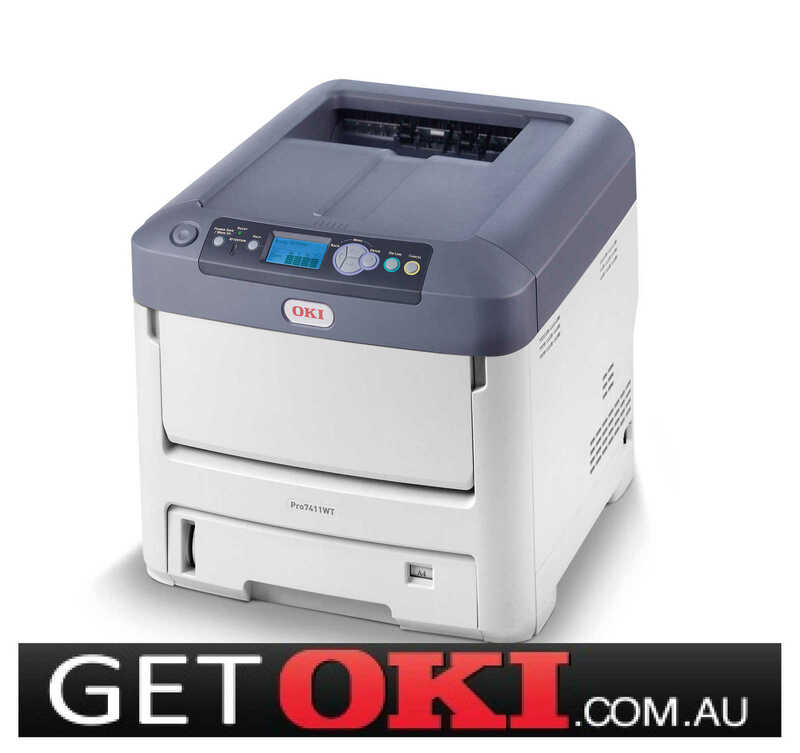 Your OKI Pro7411WT A4 Neon Color Printer (44205344) can be dispatched today for delivery to your door for only $24.95 Inc GST. Warning! Beware of imported, non genuine & counterfeit copies thatmay affect your warranty & quality prints that you expect from your OKI. Always purchase from an Authorised OKI Dealer.